Our windows and mirrors mantra here on the Fire Escape certainly holds true when it comes to SHOOTING KABUL (Simon and Schuster / Paula Wiseman Books, June 22, 2010). 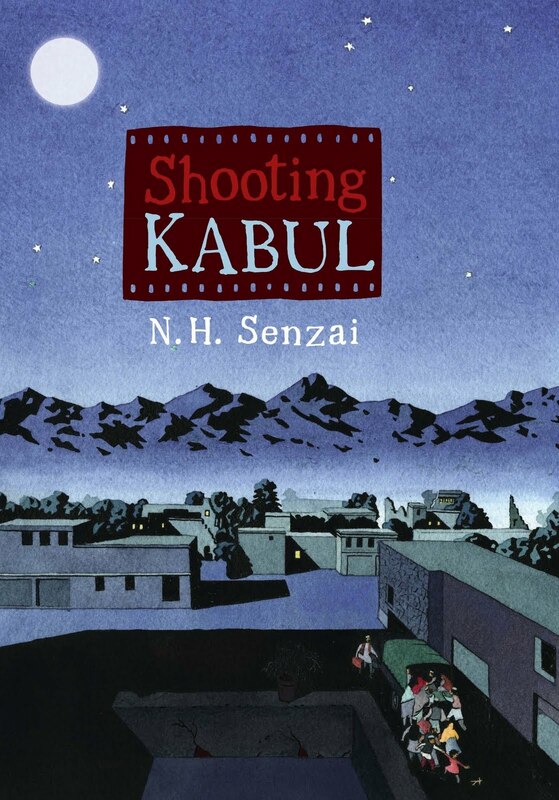 N.H. Senzai's middle-grade novel beautifully illuminates life in war-torn Afghanistan and evokes empathy for those who flee to our country for sanctuary. It's also a quick page-turner for kids who will connect with Fadi's efforts to help his family, handle a complicated older sister, win a dream prize, make friends, and deal with bullies. The hero of SHOOTING KABUL starts life in the United States as a foreigner, but by the end of the book, young readers will be cheering for Fadi as a good friend. Today I'm thrilled to host author Naheed Senzai, and invite you to sit back, pour yourself a cup of tea, and enjoy the conversation. So, tell us, Naheed, where is "home" for you? I know this will sound a little “cheesy,” but home really is where the heart is! I grew up traveling quite a bit—when I was two months old I got on a plane for the first time and traveled from Chicago to the San Francisco Bay Area. By four I was on my way to Saudi Arabia and I learned at a young age to travel light—my dad had a rule, if you pack it, you have to carry it! I soon learned to make a “home” wherever we landed, navigate through a new school, make friends and learn the secrets of my neighborhood. But the true place where I have roots is the Bay Area, which is where I’ve always returned, kind of like a homing pigeon. I love it here—the cultural diversity, my family and friends, the Pacific Ocean, the intellectual curiosity, the cutting edge innovation, the weather, and of course the food! You're making me miss the Bay Area! I grew up there, too. I'd like to add great indie bookstores and hiking to your list. Okay, next question: Do you think young people want and/or need to read stories set in other places? The simple answer is YES. Young people today are exposed food, fashion, technology and cultures from around the globe, and I think they’ve developed an appetite for new things. What better way to investigate a new world than to open the pages of a book, slip into the skin of someone “foreign,” and experience their story? In reading about other places I truly believe that young people learn to see how similar we truly are. At the end of the day what the reader is looking for is an emotional connection with the story, to see something of themselves in characters they’re reading about. As someone who has had the opportunity to live and travel around the world, I’ve learned firsthand that although people may look, speak or even act differently, their core values are the same—we all want security, access to education and healthcare, employment and a hope for a positive future. Could you sum up for us the dream response of a reader who knows little or nothing about Afghanistan's history and culture? For thousands of years, Afghanistan has been a battle­ground for outsiders. Alexander the Great and Genghis Khan came with their armies, as did the British and the Soviets. All attempted to conquer and occupy, yet failed. There are lessons to be learned as the United States currently contemplates its role in this war-torn country. It is a land still ravaged by war and ethnic tensions, but despite these facts, Afghans remain a strong and proud people. It is my hope that the reader, having walked in Fadi’s shoes, learns that Fadi and his family are similar to their own; that their hopes, dreams and desires mirror theirs. Truly, my path to publication was filled with many highs and very little lows! I wrote SHOOTING KABUL in short period of time—about six months. The next high was a great attention the book received when my agent, Michael Bourret at Dystel and Goderich, sent it out. We had a mini auction and I had the amazing opportunity to talk to two editors who had fallen in love with my protagonist, Fadi. In the end, after a tough decision, we went with Alexandra Penfold at Simon and Schuster. The editorial journey was wonderful, and fingers crossed, the reviews (even from Kirkus) have been very positive! That's great news about positive reviews for the book, but not surprising. I loved it. What was the biggest change you made in response to an editorial suggestion? The editorial process was a truly collaborative one and I really appreciated how Alexandra pulled the best out of me, while allowing space to maintain my voice and keep the book’s integrity. I like to joke that as an undergrad at Cal I was an accounting major and so still don’t know what a dangling participle or a preposition is, so I knelt at Alexandra’s feet and absorbed all the grammatical and language suggestions she suggested. Alexandra and I had discussed her vision for the book when I had the chance to talk her during the mini auction, so I knew she didn’t have *too* many changes planned. So, little of SHOOTING KABUL was re-written, but much was massaged and exfoliated! One area that was developed and strengthened was the role of Mariam, Fadi’s little sister who is accidentally left behind in Afghanistan, during their escape. Alexandra felt that the reader would feel much more strongly about her loss if she was a rich, three-dimensional character in her own right. I agreed wholeheartedly to her insight and thus reworked Mariam and her role within the family, and her special relationship with her brother. I wanted her find a place in the reader’s heart so they could empathize with Fadi as he frantically searches for her through the book. I certainly did. My heart broke with Fadi's. Could you describe a fear you have about this novel that can or did keep you up at night? I wrote in my author’s note that I didn’t want to write SHOOTING KABUL, really, I didn’t. I resisted it for many years because it deals with many sensitive and personal issues—9-11, the war on terror, Islam, Afghan culture and politics, coupled with my husband’s family history and escape from Kabul, Afghanistan. Plus, I’m not an Afghan, so I tread carefully and made sure I researched the right answers before folding it into the story, such as the concept of Pukhtunwali, the code of honor that the Pukhtuns live by. So as I began to write it, my biggest fear was to talk about these subjects with as much accuracy as I could. As you can imagine, there is tremendous complexity in explaining things like terrorism, Afghan culture, Islamic practices etc. and I wanted to do it in a nuanced, truthful way that could be understood by young and old alike. I still wake up sometimes thinking I know I’ve offended someone, but hopefully not too much! I feel the same way about crossing borders to write. It's scary and you feel immensely privileged to tell the story. 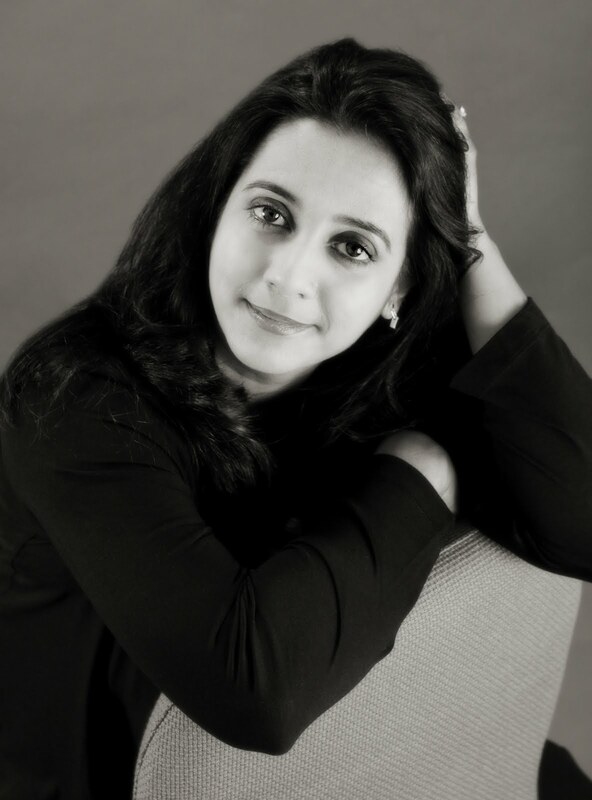 Okay, here's my last question: What's next for Naheed Senzai in the realm of children's books? I am working on another book idea that involves politics, a mystery and pakoras, but unfortunately for now, my lips are zipped! And that's the way it should be. Can't wait to read that one. Thanks so much for chatting with us on the Fire Escape, and congratulations on writing a superb story. May it be devoured by many young readers!